Before we take your website further, I want you to set up something that, in my opinion, is even more important. 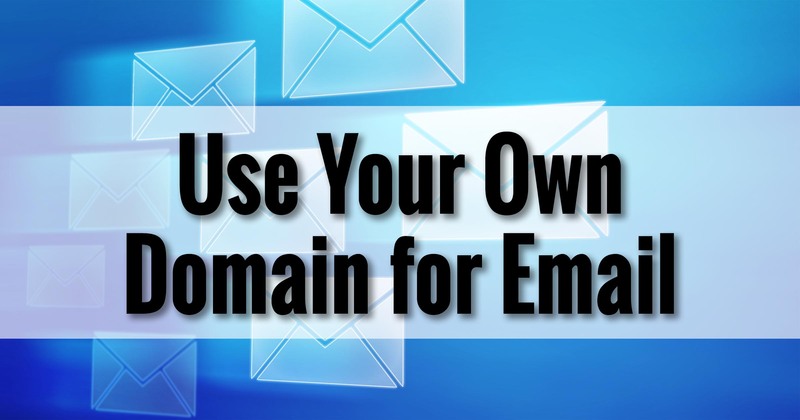 You need to make your email address an address on your own domain. Now that you own your own domain, there’s simply no excuse not to. I’m going to go one step further and say this: it’s not optional. If you want to have a professional presence on the internet, a presence that says you take people’s correspondence seriously, you take email seriously, and you take your business seriously, you simply must have your email address be on your domain. That means if you just purchased somerandomservice.com, your email address should be something@somerandomservice.com. Since I just purchased askleoonbusiness.com, I’ll use leo@askleoonbusiness.com. If your public email is @hotmail.com, @outlook.com, @aol.com, or especially if you’re using your ISP’s email address (@comcast.net, @btinternet.co.uk, @verizon.net, and so on) … stop it. To many people, email addresses on these domains label you as anything from a spammer to someone who doesn’t plan to be in business very long to someone who simply doesn’t know what they’re doing. Those are bad first impressions. Particularly if you’re running a business, providing a service, or just want to have a presence on the internet that will be taken seriously, you must have your email address on your own domain. Now, it’s one thing if you don’t have a website at all. That’s almost (but not really) excusable. But what looks even worse is when your business card or contact information includes a web address using your own domain name, and then an email address on a completely unrelated email service. Many people realize that if you have your own domain name, you can have email on that domain. To not do so is viewed as somewhat unprofessional and perhaps even lazy. As I write this, Gmail seems to get a pass from many, but not from me. Because it’s apparently viewed as a more “serious”, yet still free, email service, people don’t react quite as strongly to seeing businesses with @gmail.com email addresses. I do, particularly when there’s no reason not to have your email on your own domain. To throw out just a little bit of marketing speak, your domain is part of your brand. It’s how you represent what you do to the people you want to attract to your business, service, or movement. It’s clearly important that your website promotes and establishes that brand. But what many people overlook is that you often interact more via email than you do on your web site. In fact, in an upcoming chapter we’ll be talking about how to keep your relationships ongoing and vibrant, via email. It’s important that your email, as well as your site, reflect your business properly. And that starts with your email address. One of the common questions I get on Ask Leo! is about changing email addresses. Imagine investing years into establishing relationships with friends, family, and perhaps even customers, using an email address that happens to be from your local ISP. Then you move. Now all of your friends have an email address that no longer works, because you’ve had to create a brand new one with your new ISP. Many people consider free email services as an alternative. And indeed, it solves the moving problem. You move anywhere on the planet and you access your email as you did before. Until you’re locked out, or the account is hacked, lost, or otherwise compromised. And you can’t get it back. And there’s no customer service to help you get it back. So, just like moving, you have to set up a new email address, and once again, all your contacts have no idea that your old email address is no longer working – or, worse, is in the hands of a hacker. When you have your email address on your own domain, it’s yours for as long as you care to own that domain. That’s true no matter where you live, what ISP you use, or even how you choose to access your email. Something@somerandomservice.com is yours, no matter what, for as long as you keep paying your domain registration. Many people envision having to use cumbersome programs, interfaces and whatnot to access their email if it’s on their own domain. Accessing it with a desktop email program like Microsoft Office Outlook, Thunderbird, Windows Live Mail, and more. Accessing it using an email program on your phone, tablet, or other mobile device. Accessing it with a web interface provided by your hosting company. Accessing it via other email providers. Even accessing via those free email services like Gmail, Outlook.com or others. 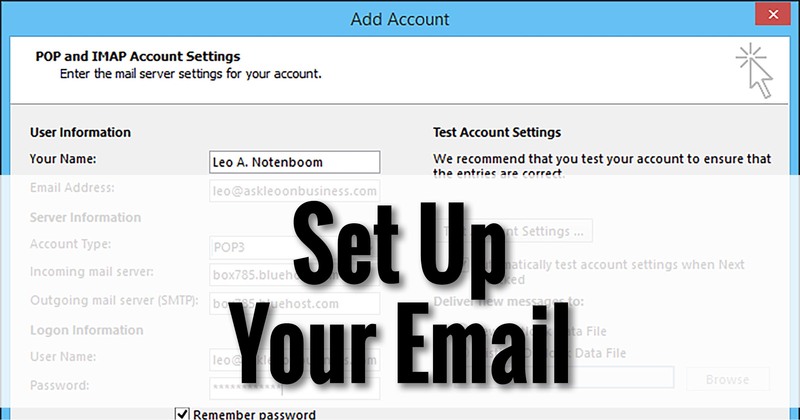 Your email address is just an address, and you can access and handle its email in any number of different ways. More importantly, you can change how you access it at any time. Say you’re processing your something@somerandomservice.com email on Gmail (as I do, by the way, and I’ll show you how in an upcoming post). One day your Gmail account is lost, or you decide that you don’t want to handle your email through Google any more. So you change it. Maybe you start using Outlook.com, or a desktop email program, or some other service entirely. Whatever. Your email address never changes. People in contact with you never know a thing about the change. They just keep emailing you as always. Even if you’re not a business, this one fact is perhaps the most compelling reason, in my opinion, for individuals or families to own their own domain names: email addresses for life. Now that we understand the need, next we’ll set up an email account and make that first step to more professional visibility. Great message, Leo. I anxiously await “Next Step”. I have a different opinion on web mail addresses. I think it is totally unprofessional (at least in my business) to have John@areallylongnotmemorable website. It should be first name/last name; otherwise you are just a “grunt” in the background. It is particularly true for females. I ABSOLUTELY will never be Barbara@areallylongnotmemorable website. I will be [first inital][last name] or [first name/lastname]. I am the president of my company, not the receptionist. Using [First name] only implies, to me, low rank in the organization. I agree, with the caveat that it depends on the business & situation. For example I got an email address for my roofer today – companyname@hotmail.com – that’s unprofessional (and the primary point of my post). However if he had joe@companyname.com I think that’s fantastic – for his situation. I agree, and have a few domains with specialized email addresses for various projects. However, one of those projects has been sending marketing emails through a marketing software program (ex. ConCon, MailChimp) using a gmail account, because otherwise whole services (ex. Hotmail, AOL) would block all mail coming from our domain. Most recently, for a political campaign, I have been using MS Office mail merge to send to a list of over 200 people who opted in. Suddenly I have trouble sending ANY email to AOL users. AOL’s postmaster service is unhelpful. I’m planning to switch to marketing software soon–the numbers keep going up–and I’ve created a gmail account just for that use. I fully agree with Leo that one should have one own’s e-mail domain, but the main reason to me is not so much the “look” of it (although it certainly has its appeal). I think that the main reason is that one should *pay* for it. If one pays for hosting (including a domain), then there is a *real world link* with your hosting company. 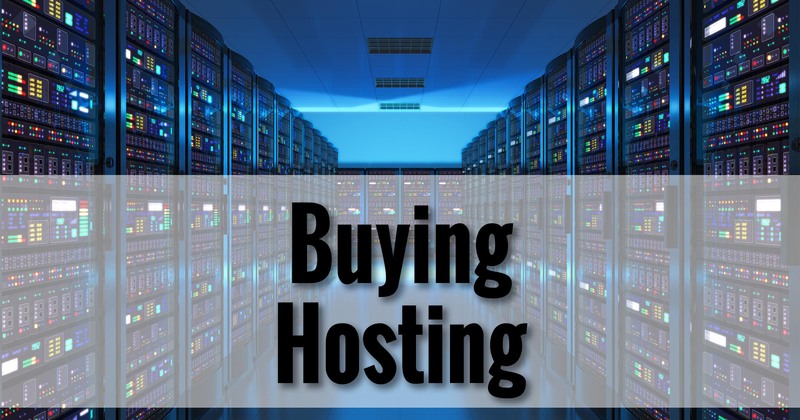 It will always be possible to PROVE that you are the legal owner of that domain and that hosting (this can eventually be complicated if the hosting company is abroad but it will be possible). Because there is a financial trace. I think Leo pointed out elsewhere that this doesn’t cost much in fact, a few Euros or dollars a month for the simplest formulae which usually are sufficient. If you lose your password access, if your account gets hacked and what else, in as much as it matters to you and you are willing to go through the hassle, it will be possible to prove to the hosting company that YOU are the customer, so that they can reset the account for you. Of course, all the damage done by the hacker will not be avoided with that, but at least, you will be able to get your domain and e-mail address back. This is a bit like a bank account. There is also a real-world link, and if something goes totally wrong with your internet bank account, you can physically go to the bank office, and put things straight. This is what makes gmail or hotmail e-mail accounts less secure over PAID FOR hosting: there is no real-world link. There’s no way, if the account is fundamentally hacked, to get it back. You remain forever exposed to the fact that relationships that have this stolen account as your contact point, may continue to send stuff to the hacker, them thinking it is you, if you forget to tell them. You should consider these free accounts as temporary accounts that you may loose at any moment (but that can be a good idea to avoid exposing too much your real account to spam and other nuisances).